This movie came up in my Netflix streaming today as a new add, under psychological thrillers, which I absolutely love to watch. Nothing like watching a movie that makes you sit on the edge of your seat and also have to think about it. Having done a quick look up on the film, it was influenced by Orson Welles' infamous radio production of "The War of the Worlds." Upon seeing that, I was in. I am all for a movie, that uses a few characters and a lot of misdirection, a bunch of rumors and a lot of sound effects. 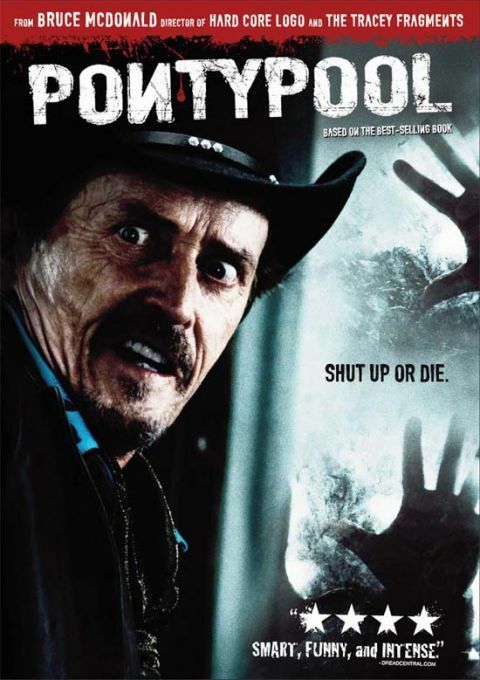 Which this movie does, as it revolves around 3 characters inside an old AM radio station in a small town called Pontypool, which apparently is located somewhere in the Ontario area. Slowly as the movie moves on, there is a bunch of unconfirmed reports to the radio station, of a mob of people attacking a doctor's office somewhere downtown. As the reports start coming in and they get some on the scene live phone calls, its apparent, sometype of "out break" has happened, as the reporter on the phone describes the people as "babbling the samethings over and over, and randomly attacking other people." Now I won't destroy the movie for you, incase you want to see it, but its really a neat way how this "virus" happens and the last few minutes of the film, when the characters finally figure things out, is awesome. If you have Netflix streaming, or Amazon on Demand, and have a free 93 minutes, you wont be sorry. Now how can one use this movie in there game? Easy, this movie shows that with a little misdirection, some rumors and sounds, a bunch of people will believe something. For example, in your campaign, you can have your PC's trapped inside a room, trying to wait for help, and start dropping weird rumors from various town folk that manage to make it to their safe house. Do it a few times, and the PC's might be too scared to leave the safe house, or will think twice before charging out to kill things! I saw the movie and thought it wasn't a bad idea. Certainly the most unique "zombie" film I've seen in awhile. Pontypool, by the way, is a real town in Ontario, Canada. I drove past the town sign and I was going to get a picture, but then I thought, "Maybe that's not a good idea." Never know.